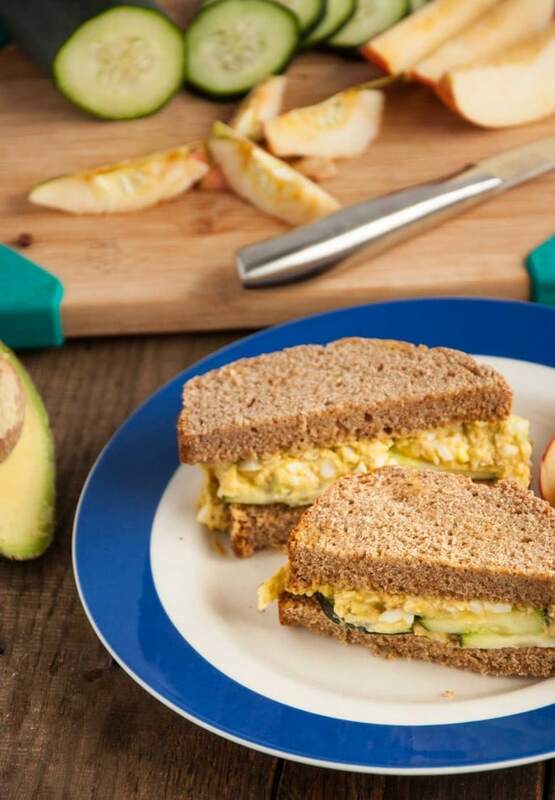 These creamy avocado egg salad sandwiches are mayo free and full of tasty heart healthy fats instead! Remember egg salad sandwiches? If you’re like me, you probably haven’t had one of these recently, maybe even since you were a wee munchkin and were eating if out of a 101 Dalmatian lunch box. Well, with Easter weekend over, this is the perfect time for a trip down memory lane. 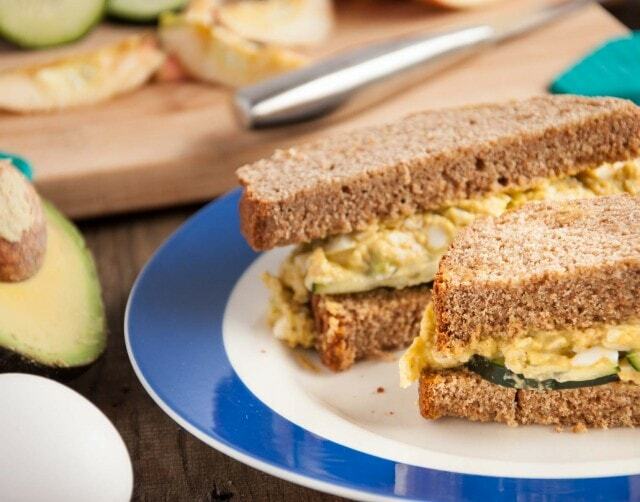 Egg salad sandwiches are a great way to use those leftover dyed Easter eggs. This time though, make an adult version with avocado instead of mayonnaise! Sounds a little weird right? Its totally good and avocado egg salad tastes *mostly* like the real deal. Its a bit of a different flavor, but in a delicious way. They’re kid approved too. I had a 9 year old taste tester give it an enthusiastic thumbs up. Coming from a 9 year old, that’s something. The 5 year old (my nephew) on the other hand was a different story. Little did I know at the time that he’d been sneaking cookies and was already full. The kid ate 5 or 6 somehow without me noticing. I guess I can’t blame him… he gets his cookie love from his auntie. Although avocado egg salad is a tasty lunch option, next time you hear from me, I’ll be downing piña coladas and ceviche on a beach in the caribbean and couldn’t be happier about it. While getting my hair done the other day I spent a good hour on Google researching the island and getting schooled on all things Barbados. which I’m beyond stoked about. Ted is an obsessive snorkeler (like spend 4 hours in the water obsessed). I’ve never been a big fan but want to give it another go, and this time with a snorkel that hasn’t been shared by 100 people before me. If you have any pointers or advice on places to go in Barbados, I’m all ears! Cover eggs in water and bring to a boil. When water comes to a boil, cover pot and turn off heat. Let sit for 10 12 minutes. Put pan with eggs in the sink and run cold water (or cover in ice) until cool about 5 minutes. Meanwhile, mash avocado with a fork in a medium sized bowl. Peel eggs. I do this under cold running water to help the shells come off easily. Add to avocado and mash with a fork (or use an egg slicer). Add yogurt, hot sauce, mustard, and paprika and stir to mix. Season to taste with salt and pepper. Put cucumber slices onto two slices of bread and top with egg salad. Top with other slice of bread and serve.